Miami, with its flat terrain and year-round warm weather, has the makings of a cycling friendly location. 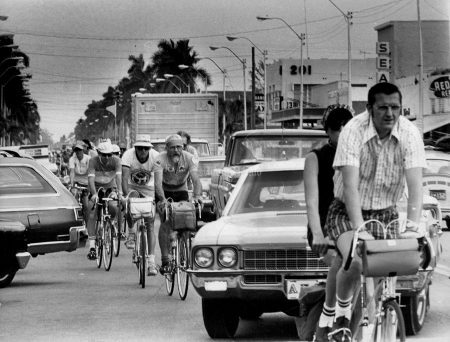 Of course, there’s also the heinous traffic, lack of bike lanes and laws to protect cyclists. 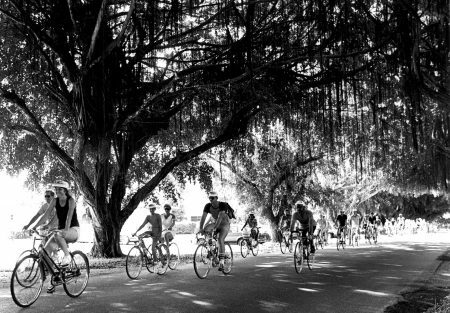 Take a look at a few of Miami’s early riders. 1/31/1968, Jow Shcuppe/Miami Herald: Couple on a double on Bicycle path in Matheson Hammock park. 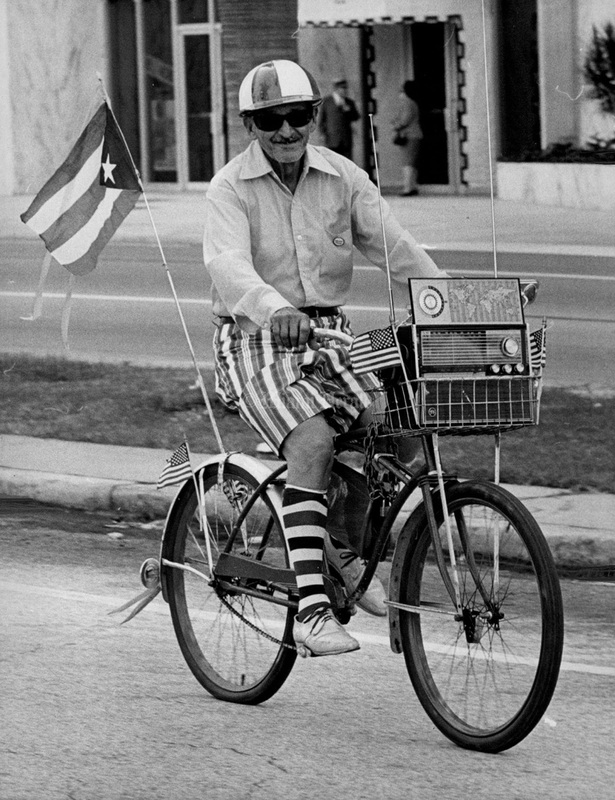 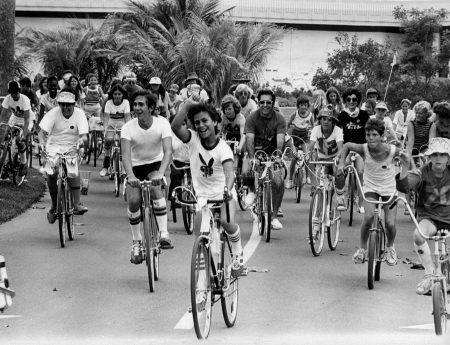 4/25/1976, Albert Coya/Miami Herald: Away they go, for the Bike-A-Thon in Homestead for the American Cancer Society. 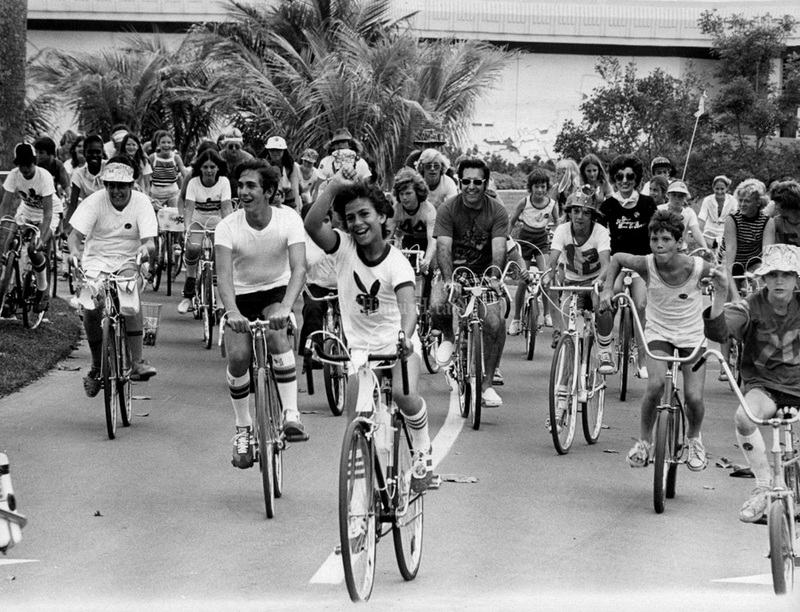 3/10/1975, Albert Coya/Miami Herald: Bikers ride along Krome Ave. at Homestead. 12/9/1973, Marlin Levinson/Miami Herald: Sierra Club outing. 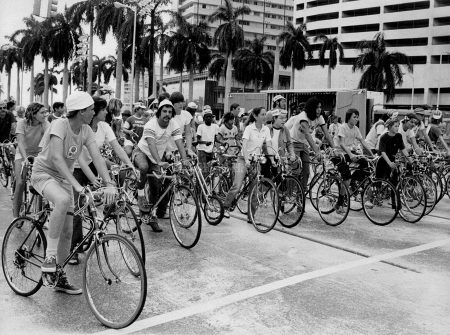 10/16/1983, Bob East/Miami Herald: About 1,000 biker toured South Miami and Coral Gables Sunday in Herald Family Bicycling day event. 6/1/1963, Bill Sanders/Miami Herald: Pedal Pushers. Downtown Homestead becomes a bicycle path for this line of young and old pedalers and marchers who make up the city's second annual Bicycle Safety Month parade. 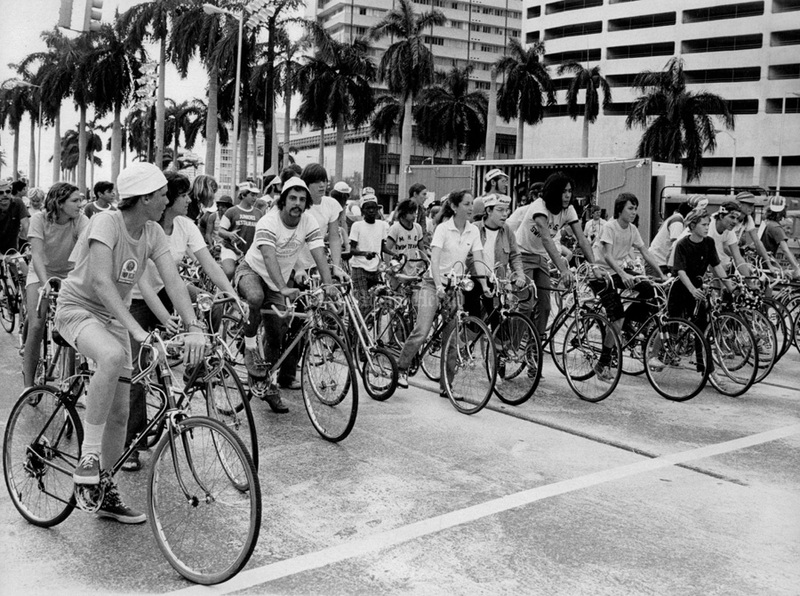 The parade climaxed a month of bike safety programs, and was followed by trophy awards to winners of cycling contests. 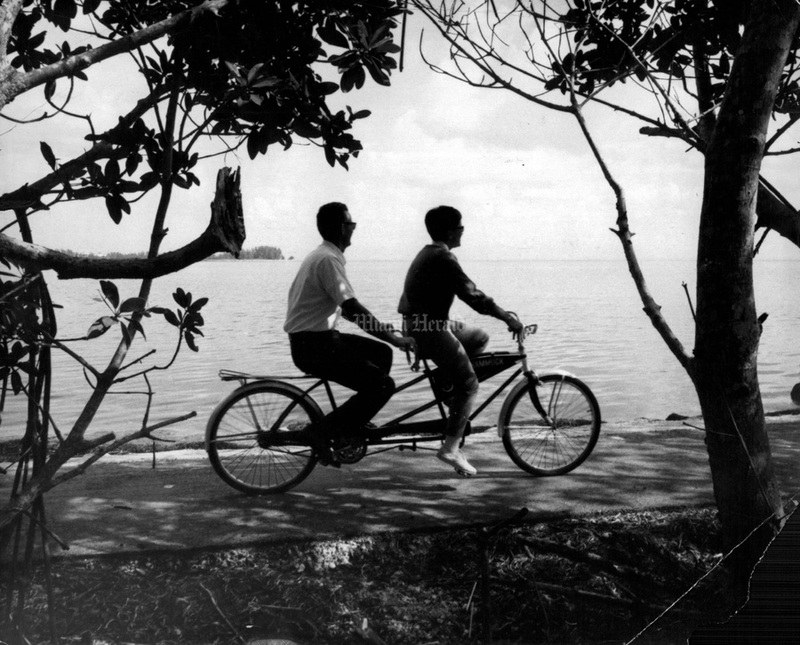 5/29/1962, Hugo Wessels/Miami Herald: Big Wheelers. 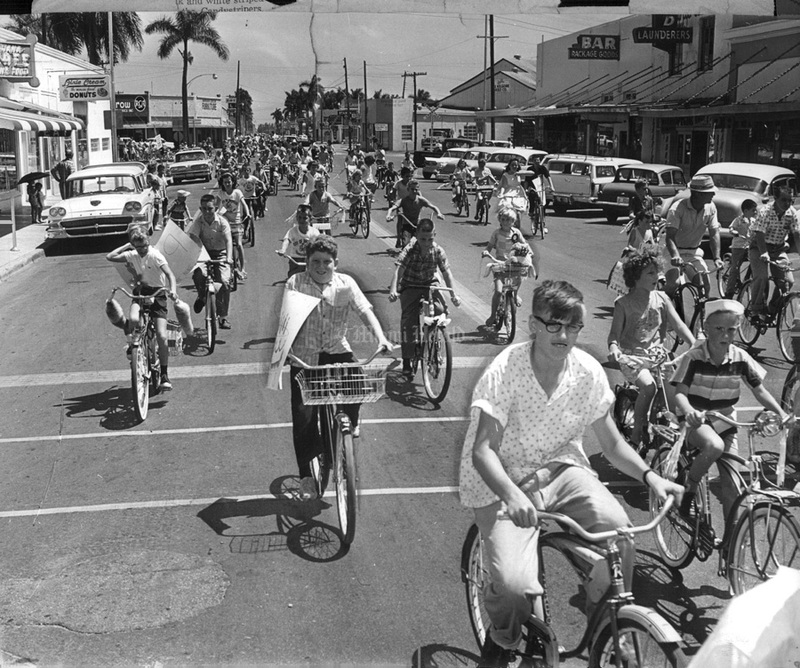 Down the main street of Homestead they came, hundreds of bicycles. See anybody you know? 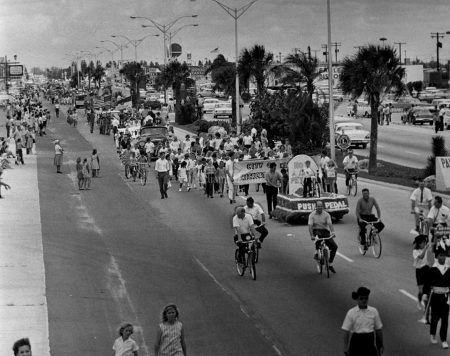 The occasion was Homestead's bicycle safety parade -- all officially sanctioned and decreed by city fathers, and a heck of a lot of fun for hundreds of free-wheelers besides. Krome Ave. hadn't seen the likes of it since . . . well, maybe T. D. Piche, 76, the oldest cyclist, could remember when. 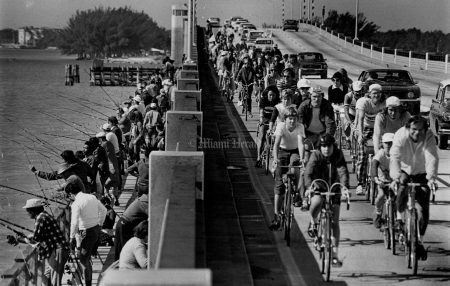 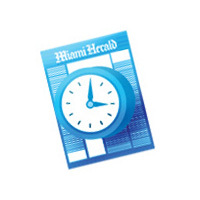 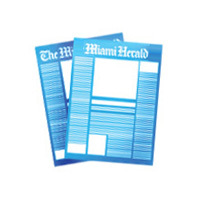 12/3/1973, George Kochaniec/Miami Herald: Bicycle race. 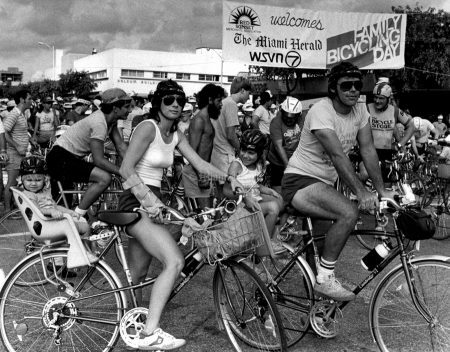 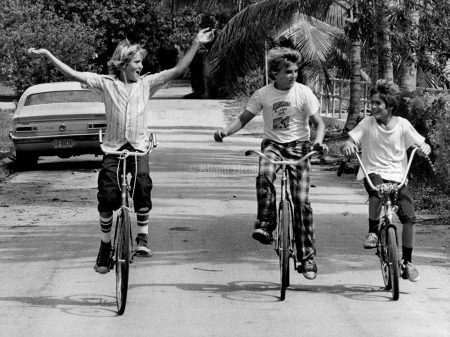 10/16/1983, Bob East/Miami Herald: The whole family goes Bicycling in the big South Miami event at Sunset and Red Rd. 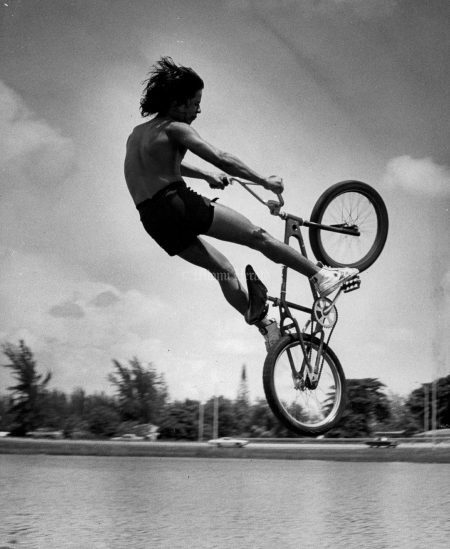 8/12/1980, Albert Coya/Miami Herald: Manny Gonzalez jumps with his bike at this Palmetto and Flagler.